Soldier, municipal officials, MLA (1878-1879), MLA (1879-1883), Mayor of Winnipeg (1877-1878), MP (1878-1882), MP (1882-1887). Not to be confused with Thomas Scott (1846-1870), a protagonist of Louis Riel. 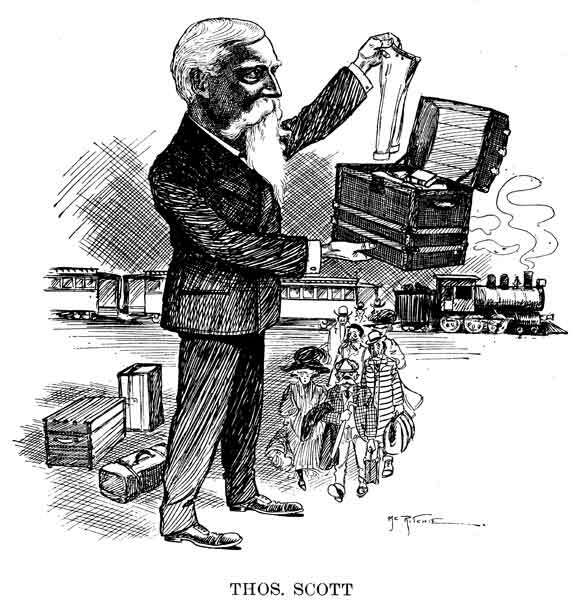 Born at Perth, Ontario on 16 February 1841, son of Irish immigrants Thomas Scott and Margaret Thompson. They emigrated to Canada when they were young people and were among the pioneers of Lanark county, settling there in 1836. His father was a farmer and died there in 1842, his mother’s death having occurred in 1900, at the advanced age of eighty-five. He was the youngest of the family of four children and after the death of his father the family moved to Perth where he attended the public and grammar schools up to his fourteenth year, when he laid aside his books. He then apprenticed to learn the printer’s trade, and followed the same up to 1861, when he established the Perth Expositor, of which he was editor and proprietor up to 1872. For the past forty-five years he has been identified in military affairs, his first military experience being in 1860 when he volunteered for service during the “Trent Affair” with rank of ensign. During the Fenian Raid into Canada in 1866 he was in command of the Perth Infantry, serving five months on the frontier. In May 1870, when the Dominion government sent out the first Red River Expedition, under Sir Garnet Wolseley, Colonel Scott was in command of a company of Ontario Rifles,which arrived at Fort Garry after the escape of Riel. In December of the same year he returned to his home in Ontario, going by way of St. Paul, the trip from Fort Garry to that point taking seventeen days. Owing to the anticipated raid in 1871 the government decided to send reinforcements to the garrison at Fort Garry. Colonel Scott was appointed in command of the troops, which was known as the Second Red River Expedition. Leaving Collingwood on 22 October the command, after a very hard trip and a march of one hundred and ten miles from Northwest Angle, in which the men suffered from the intense cold and exposure, they arrived at Fort Garry, 18 November of the same year. November 1874 witnessed his retirement from military service, when he at once entered local politics and in December 1874 contested the constituency of Selkirk with the Hon. 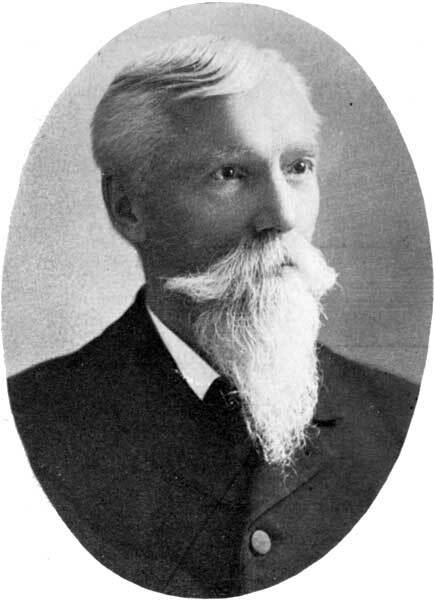 R. A. Davis, and was defeated by fifteen votes. He served as a member of the first council of Winnipeg, being elected to represent the South Ward in 1874. In 1877 he was elected mayor of the city of Winnipeg, and in the election of 1878 he was again elected to that office by acclamation. He was a participant in the December 1878 ceremony to mark the opening of the first railway to Winnipeg. At the general election in 1878 he was returned a member of the local legislature, in which he held his seat until its dissolution in the fall of 1879, and at the general election of the same year was again returned a member for the local house. He resigned his seat in 1880 to contest the county of Selkirk for the Dominion House with Donald A. Smith, now Lord Strathcona, who had been unseated, and was elected by a majority of one hundred and sixty-nine votes. In 1882, at the general elections for the Dominion House, he defeated his two opponents, Colonel Osborne Smith and E. G. Conklin. Colonel Scott was married in 1863 to Margaret McPherson Kellock (1842-1908), a daughter of Robert Kellock and Alicia Dickson McDonnell of Perth, Ontario. They had six children: Thomas H. Scott (c1865-1895), Frederick W. Scott, Robert Kellock Scott (1871-1942), Alice May Scott (1877-1932, wife of Loue A. Nash), John Clarence Scott (b 1879, husband of Louise Maud Meyer), and Mabel Margaret Scott (1881-1949, wife of Bertram John Durell). Robert Kellock, who after four years in the Royal Military College at Kingston, was appointed lieutenant in the Royal Artillery, and served in India, Egypt and five years in South Africa. He was later in the Army Ordinance Department, being stationed at Woolwich, England. In 1885 while attending the session at Ottawa he was requested by Sir A. P. Caron, Minister of the Militia, to raise a regiment for service to quell the Riel Rebellion in Manitoba, and in thirteen days had raised and fully equipped what was known as the Ninety-fifth Manitoba Grenadiers, which remained in service at Fort Qu’Appelle until that trouble was brought to an end. In 1887 he retired from politics and accepted the office of collector of customs at the port of Winnipeg, replacing William R. Mingaye. Obituary, Winnipeg Free Press, 11 February 1915. We thank Pat Allan for providing additional information used here.